The school is situated in a 4 Star hotel, experience the amazing atmosphere and enjoy your Italian classes outdoors! You’ll love the variety of landscapes. From untouched beaches to grand mountains to hike and lush greenery along the coast. The friendliness and hospitality of the locals makes your life easy. CCombine learning Italian with sports, conversation, art and a holiday for those aged 40+. 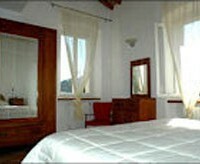 Elba Island is situated in the Tuscan region. After Sicily and Sardinia, it’s the third largest island in Italy. There are a variety of landscapes from untouched beaches to grand mountains allowing you to hike, play sports or just sunbathe. In ancient times, the Greeks named Elba Island “Aethalia” and you’ll find traces of the Etruscans, Romans and Napoleon who lived on the island in 1814. 20 lessons of general Italian a week, 50minutes a day from Monday to Friday. Very small groups (4-6 students a class). Large social, cultural and sports activity programme in the afternoons. 1 week minimum duration. Starts every Monday from May to October. 20 lessons of general Italian a week + 10 lessons of conversational Italian. 1 week minimum duration. Starts every Monday from May to October. Possibility of having lessons on Saturday too. Starts every Monday from May to October. 20 lessons of general Italian from Monday to Friday + 12 art lessons a week (4 lessons, 3 times a week). This course is perfect if you want to combine learning the Italian language with discovering the natural beauty of the island. 2 weeks long. 30 lessons of general Italian from Monday to Friday. Learn the historical and cultural aspects of the island with visits to important historical sites, caves, ruins of medieval buildings and wine tasting. Duration is 2 weeks. You can combine this course with a stay in Florence (only for those older than 40 years). 20 lessons of general Italian a week from Monday to Friday in small groups + afternoon sports activities to choose between sea kayaking, mountain biking, and hiking. Includes transfers, a tour around the island, and assistance. 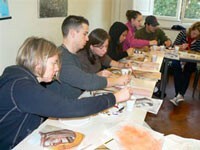 This course offers you the opportunity to combine Italian with outdoor sports activities, guided by experts. Duration is 1 week minimum. You can combine all 3 sports if you wish. Starts every Monday from May to October. Shared rented apartments: three bedrooms per apartment, single and double rooms available with ensuite. Kitchen and lounge are shared. All completely equipped and furnished, and within walking distance from the school. Sheets, towels and weekly cleaning also included. Informational material and an exam on your first day to determine your level. Flights, transfers from the airport, medical insurance and cancellation of the trip are not included. To get to Elba Island you will need to fly to Florence or Pisa then get the train to the Piombino port (this will take 1h30.) Once there you will need to get the ferry to Portoferraio. You can then get a taxi to Marciana Marina or public bus.